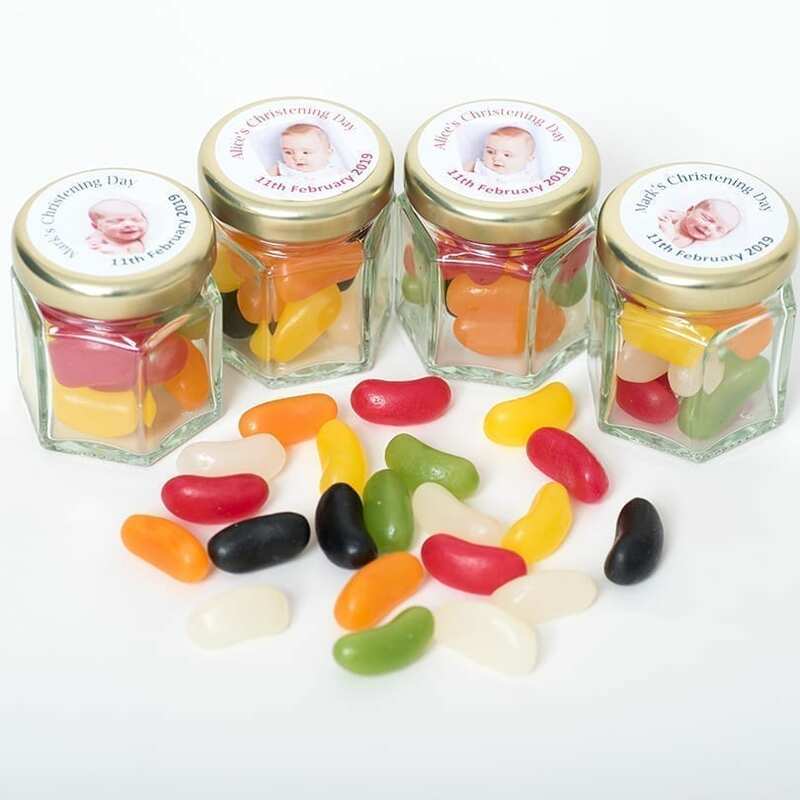 A lovely way to celebrate the birth of a new baby, a baby shower or a Christening. 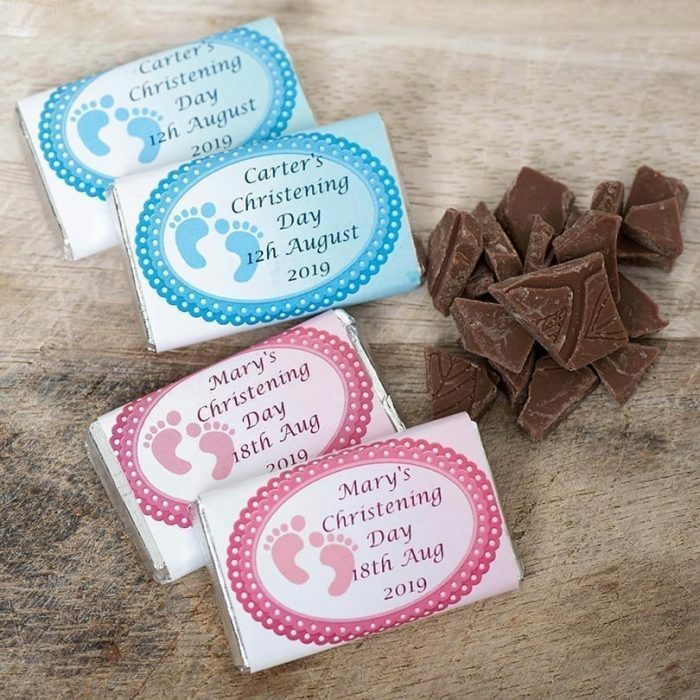 This wrapper features baby footprints in a frame, chose from pink or blue. 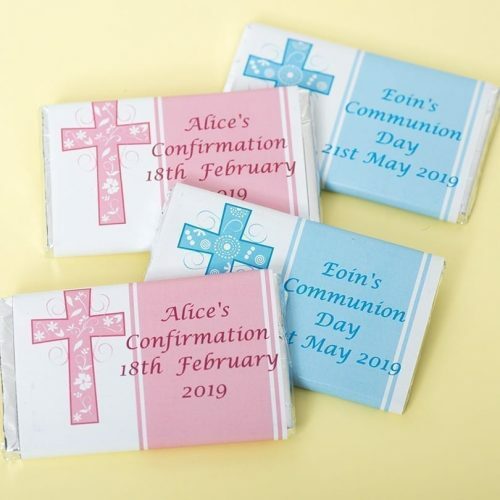 This wrapper can be personalised on the front and the back and comes with our mini 10g bar of milk chocolate. Suggestion for back text – thank you for sharing my special day, thank you for celebrating with me. 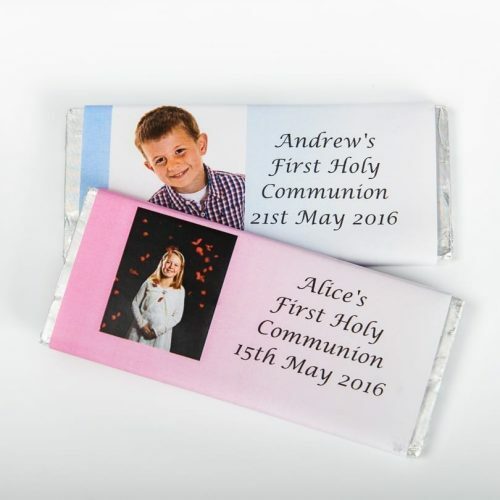 Personalised chocolate bar wrapper with footprints. 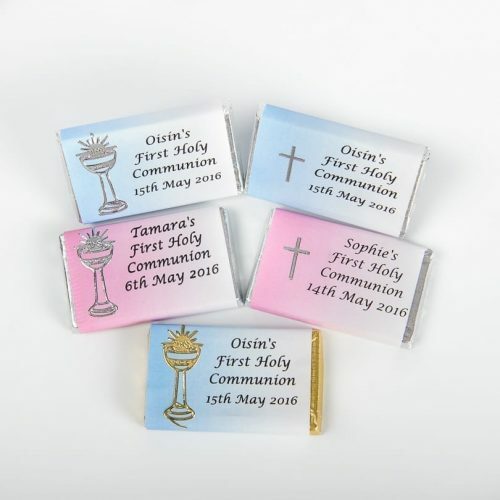 The wrapper can be personalised on the front and the back and comes with our mini 10g bar of milk chocolate. There is silver foil (underneath the personalised wrapper).